This past summer of 2016 my well went dry. As it turned out, due to the drought, the water flow was limited. It is a scary situation for any homeowner. Cornwall Plumbing and Heating, in particular, Jaisun was very patient and thorough in helping me sort out the possible solutions and the one best for me. I know it was a very busy time for the company, but I never felt pressured or rushed. All questions were addressed. The most important thing is that the work was done in a timely manner, and the problem was solved. Many thanks. Working with Joey at Cornwall Plumbing & Heating was a pleasure. He was professional yet personable. He and his staff provided excellent customer service from beginning to end. The new heating system is wonderful and one of the people we showed it to said "it is a work of art". We agree it is beautiful to look at as well as efficient. I now have enough hot water to fill the whirlpool tub on the first try. Thank you for the good work.  I had a great experience with Cornwall Plumbing & Heating. They were prompt, courteous, and efficient when they came out to clean a furnace heating coil. I would give them an A+ for service. They listened well to the details I provided, diagnosed the problem correctly, and kept me updated as they went along. A rare contractor experience indeed. Completed seasonal maintenance of air conditioner condensers and air handlers. Did an excellent job. Very thorough, neat, took care not to track dirt into house or leave any debris from their work. Team was very knowledgeable and efficient. I entered & won the "Scariest Water Heater" contest for my Mom who was in desperate need of a new water heater. From the first phone call & meeting Joey to the moment the crew finished the installation, everyone was so professional & friendly. A joy to have been a part of this great gift of giving from such a great company. I would recommend them anyone & everyone. The water heater runs great!! These guys are great. I've worked with Cornwall Plumbing & Heating twice - once as part of a bathroom remodel, and the other time for a well emergency. Both times they were responsive, responsible and the work was done at a very high quality. As for the well, Jaisun and his guys diagnosed the issue, attempted a couple of fixes that didn't work, and ended up getting a new well drilled and operational - all in a matter of days (because we were hosting family at our house). Much appreciated.